The IPRC Steering Committee is comprised of 11 leaders from IPRC member organizations, each serving 3 year terms. The Committee meets monthly with the Director to provide leadership for the organization as a whole, support operations, and ensure growth and development of the IPRC. These leaders provide oversight for the projects and initiatives taken on by the collaborative and its working committees and are responsible for strategic planning, defining benefits of membership, and allocation of resources. The Committee is intentionally diverse and includes members from broad geographical and clinical backgrounds. 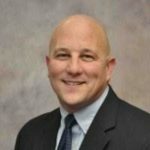 Jeff Stec is the Program Manager for Pediatrics at the Alexis Verzal’s Children’s Rehabilitation Hospital, part of Madonna Rehabilitation Hospital in Lincoln and Omaha, NE and has been a Speech Language Pathologist for over 20 years. Jeff joined the IPRC Steering Committee in 2013 and worked closely with the Outcomes Committee for two years. In 2015, he accepted the leadership role of Vice Chairperson for the Steering Committee. Leisure interests for Jeff include hot yoga, cycling, woodworking and gardening. Brooke Racicot is the Sr. Director of Rehab Services at the Children’s Institute in Pittsburgh, PA where she is responsible for oversight of all physical rehab services. In addition to her leadership experience, Brooke has over 2 decades of clinical experience as a pediatric physical therapist. Brooke joined the IPRC Steering Committee in 2013 and serves as a liaison to the Education, Advocacy & Membership Committee, providing oversight and guidance to the group. In her free time, Brooke likes to garden and coach soccer. Connie Andrade is the Director of Rehabilitation Services at Primary Children’s Hospital, part of the Intermountain Health System in Salt Lake City, Utah. She has been a part of the IPRC Steering Committee since 2013 and has a clinical background in physical therapy. Connie oversees all rehabilitation service at Primary Children’s and has a strong interest in service delivery models and outcomes management in pediatric populations. In her free time, she enjoys hiking in the mountains with her two dogs, Noah and Ruby. Susan Dubroff is the Director of Rehabilitation Services at Mt. Washington Pediatric Hospital in Baltimore, MD where she oversees both inpatient and outpatient rehab services, and is co-director of their Feeding Disorders Program. Susan has a clinical background as a physical therapist and is highly interested in data collection and use for program development. She has served as a consultant for the U.S. Department of Justice related to investigation of violations against the rights of children and persons with disabilities and serves as a surveyor for the Commission on Accreditation for Rehabilitation Facilities, CARF. Susan joined IPRC Steering Committee in 2011 and has been involved in leadership within the group. When not in the office, Susan fills her time with gardening, traveling, and is an avid baseball fan. 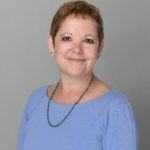 Naomi Gefen is the Deputy Director General of Clinical Services at ALYN Hospital in Jerusalem, Israel where she is responsible for oversight of all clinical and rehabilitative services of the hospital. She has a strong clinical background as an Occupational Therapist and specializes in assistive technology, seating and mobility, and powered mobility. Naomi also has special interest in advocacy and clinical education. Naomi joined the IPRC Steering Committee in 2015 and provides a refreshing international perspective to the group. In her free time, Naomi enjoys meeting friends, walking the dog, reading, and traveling. 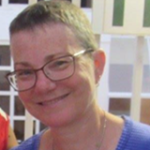 Dvora Ben-Zvi is the Assistant Director of Nursing at ALYN Hospital in Jerusalem, Israel where she coordinates the risk management committee, writes procedures and is responsible for in-service education of the nursing staff. She joined the IPRC Steering Committee in 2017 and adds great depth to the committee with her clinical insights and nursing perspective. In her free time, you’ll find Dvora doing water aerobics, Israeli folk dancing, knitting, and sewing. Sue Harlow is the Program Coordinator for Rehabilitation at Cincinnati Children’s Hospital Medical Center. 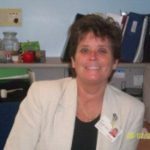 Sue has a strong clinical background in Occupational Therapy and spent 34 years as a treating therapist, supervisor, and manager in the “adult world.” After receiving her clinical doctorate, she was a professor at Xavier University for 5 years in the OT program. Sue made the transition to Pediatrics when she joined Cincinnati Children’s and never looked back! In addition to her role on the IPRC Steering Committee, Sue also enjoys being a CARF Surveyor. In her free time, Sue enjoys traveling, cooking, photography, and experiencing new places. 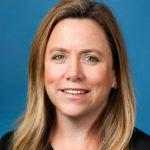 Susannah Kidwell is the Director of Rehabilitation Services at Children’s Healthcare of Atlanta where she oversees Acute Care Rehab, Inpatient Rehab Unit, Day Rehabilitation and the Center for Advanced Technology and Robotic Rehabilitation. She has a clinical background as a Speech Language Pathologist and is most passionate about coordination of care and inter-professional healthcare delivery. 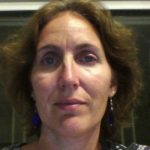 Susannah accepted a leadership position on the IPRC Steering Committee in 2017 after nearly a decade of involvement within the organization. Susannah also sits on the Brain and Spinal Cord Injury Trust Fund Commission for the state of Georgia and in her spare time, enjoys gardening and the North Georgia Mountains. Dr. Christian Niedzwecki is a Pediatric Physiatrist and is the Medical Director of the Pediatric Inpatient Rehabilitation Unit at Texas Children’s Hospital in Houston, Texas. 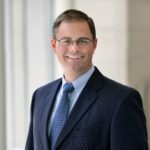 He is also an assistant professor in the Department of Physical Medicine and Rehabilitation at Baylor College of Medicine. Christian joined the IPRC steering Committee in 2016 and is highly interested in research and outcomes related to the efficacy of pediatric rehabilitation. In his free time, he enjoys spending time with his wife and 3 daughters. 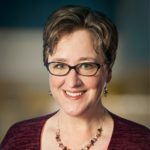 Anne Ruecktenwald joined the IRPC Steering Committee in 2016 after a long tenure as chair of the Best Practices & Clinical Innovation Committee. 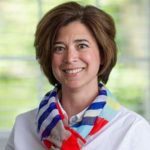 She is the Director of Clinical Programs at The HSC Pediatric Center in Washington, DC where she oversees PT, OT, Speech, Psychology, Feeding, and multiple clinics. She has over 30 years of experience in pediatrics as a physical therapist, manager, and program director. When not at the hospital, Anne enjoys kayaking on the Chesapeake Bay and cycling on the Maryland Eastern Shore. 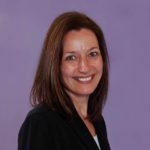 Dr. Cynthia Salorio is the Director of Rehabilitation Outcomes and Related Research in the Department of Rehabilitation, and the Coordinator of brain injury, cardiac, and epilepsy outpatient neuropsychological services in the Department of Neuropsychology at Kennedy Krieger Institute in Baltimore, MD. Cindy is also an associate professor at Johns Hopkins University School of Medicine. She is board certified in clinical neuropsychology with specialty board certification in pediatric neuropsychology. 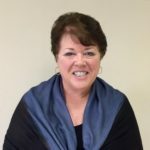 Cindy has been highly involved within IPRC for many years and joined the Steering Committee in 2016; she serves as Liaison to the Outcomes & Best Practices Committee. Dr. Beth Villavicencio joined the IPRC steering committee as a parent representative in 2018. She became an expert in the experience of pediatric rehabilitation through caring for her medically complex son, who is now a teenager with cerebral palsy. As a physician and a mom to a child with special needs, she understands how crucial it is for medical teams and families to partner effectively. Beth’s goal is to help the IPRC develop resources to benefit pediatric rehab patients, families, and providers. When not wearing her “Mom Hat,” Beth wears her “Doctor Hat” as the Medical Director for Acute Care Oncology at Seattle Children’s Hospital. In her free time she loves travelling, crafting, and Girl Scout adventures. Effective July 1, 2013, 11 Steering Committee members will be selected from IPRC member organizations. At least one Steering Committee member will be from a Pennsylvania RCPA member organization. Beginning July 1, 2014, all Steering Committee members will be elected to 3 year terms. Each year an election of three members will take place prior to July 1, with rotating (not permanent) seats, and one seat designated to RCPA PA members. Steering members will be elected by the full IPRC membership. Efforts will be made to support geographically and/or programmatically diverse representation on the Steering Committee. The Steering Committee has an executive body with a Chairperson and a Vice Chairperson. Each position has a two-year term. After a two-year term, the Chair will step down and the Vice Chair will transition to Chair. The past chair will remain on the Steering Committee for the term of the current Chair (2 years). Steering Committee members may serve multiple terms. If your organization is interested in having a member serve on the Steering Committee, please contact IPRC.